Cost management of utilities often take a back seat to the execution of project work and to the day to day troubleshooting required to run a successful commercial laundry operation. Gas prices have been low and stable since 2009 which has made them easy to ignore. But while the gas peaks of 2005 and 2009 may be distant memory there are signs that the low prices and low volatility may be coming to an end. 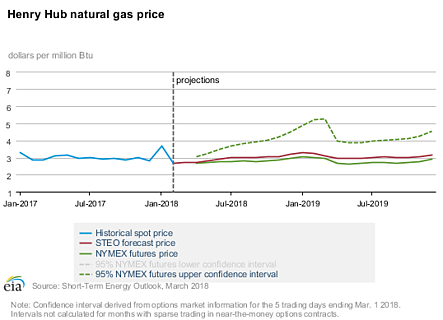 The price of U.S. Natural Gas is forecast to rise by about 6% according to Short Term Energy Outlook released yesterday (March 6th) by the U.S. Energy Information Administration (EIA). Prices may continue to rise in the long term because although the glut of natural gas produced by hydraulic fracturing kept costs low, it also spurred capital investments to export the natural gas. The capital investments into liquified natural gas terminals means that this glut of natural gas will no longer be held hostage to oceans and the open market will undoubtedly cause prices to increase. It would be a good time to take a closer look at your gas bill to calculate the impact today’s 6% price increase will have on your bottom line. The days of ignoring energy bills may be over. Request a natural gas audit to learn more about low cost ways to proactively manage rising gas prices in your commercial laundry.